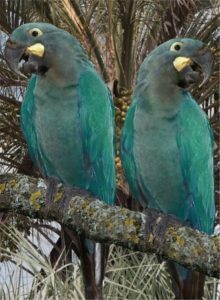 Spix’s Macaw: now deemed extinct in the wild, some 60-80 survive in captivity. Spix’s Macaw (Cyanopsitta spixii) is one of eight species primed to have their extinctions either confirmed or deemed highly likely, following a new study by BirdLife International. The eight-year study used a new statistical approach to analyse 51 Critically Endangered species, quantifying three factors at once: intensity of threats, timing and reliability of records, and the timing and quantity of search efforts for the species. 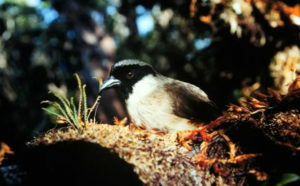 Five of the eight confirmed or suspected extinctions took place on the South American continent, four of them in Brazil, reflecting the devastating effects of the high rate of deforestation in this part of the world. 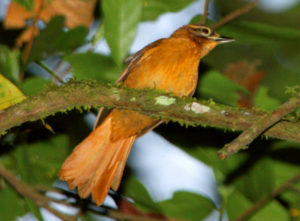 Of the eight species, it was recommended that three species should be re-classified as Extinct; the Cryptic Treehunter (Cichlocolaptes mazarbarnetti) and Alagoas Foliage-gleaner (Philydor novaesi), two ovenbirds from North-east Brazil, and Poo-uli (Melamprosops phaeosoma), formerly of Hawaii, which has not been seen in the wild since 2004 (the same year the last captive individual died). The data also suggests another four species should be reclassified as Critically Endangered (Possibly Extinct), a category that indicates that the species is highly likely to be extinct, but further search efforts are required before we can definitively rule it to be Extinct. These species are New Caledonian Lorikeet (Charmosyna diadema), last sighted in 1987, Javan Lapwing (Vanellus macropterus – 1994), Pernambuco Pygmy-owl Glaucidium mooreorum – 2001) and another Brazilian macaw, Glaucous Macaw (Anodorhynchus glaucus – 1998).